Read the latest news about Act One alumni working in mainstream film and television, check out upcoming Act One programs, find current and back issues of Only Connect, the Act One newsletter, register for an Act One Screenwriting Weekend, or order books authored by Act One faculty. Publisher of The Christian Communicator and Advanced Christian Writer. Host of numerous conferences. ACW also operates two correspondence schools and a mail-order learning center. How-to's for starting a Church Writing Group and lesson plans. Information on the Amy Writing Awards. One of fourteen editors will critique your manuscript, offer ideas for improvement, and suggest markets when possible. Also offers Six-Session Hands-On class via email. Answers to your questions are likely here. Includes a link to First Edition, ECPA's Manuscript Service for submitting your book proposal to ECPA Member Christian publishers. Helpful resource shared by Amy, a student in Deborah Ward's class in Delaware. God is using Jim's wonderful sense of humor and creativity in exciting ways on the worldwide web. Check out his website and his SPAM of the Month Club and pray for him. Jim is "crossing over" with the cross! 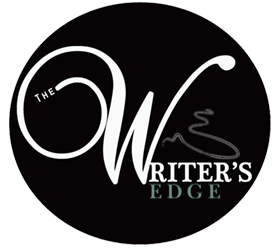 We train writers through one-on-one mentoring via e-mail courses. Guild features include a critique service, annual membership, and writing contest. Sponsors webinars and regional conferences. 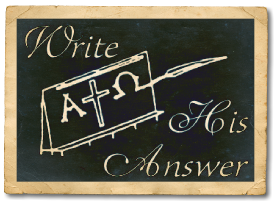 Encourages the creation of Christian books, periodicals, and other written material in the so-called Developing World. Help for reaching your speaking and writing goals. Lots of helpful resources on this website. Check it out! An excellent conference directed by Lin Johnson every June in Wheaton, IL (Chicago area). The event offers classes for beginners through professionals; meetings with editors and agents; manuscript evaluations, and even optional college credit through Taylor University Fort Wayne. Go to www.writetopublish.com for all the details and to register. For more information on Christian writers' conferences around the nation see the list in the Christian Writers' Market Guide. An active and helpful yahoo group for professional and aspiring writers that is open to new members. By the publishers of Writer's Digest Books and Writer's Digest Magazine.